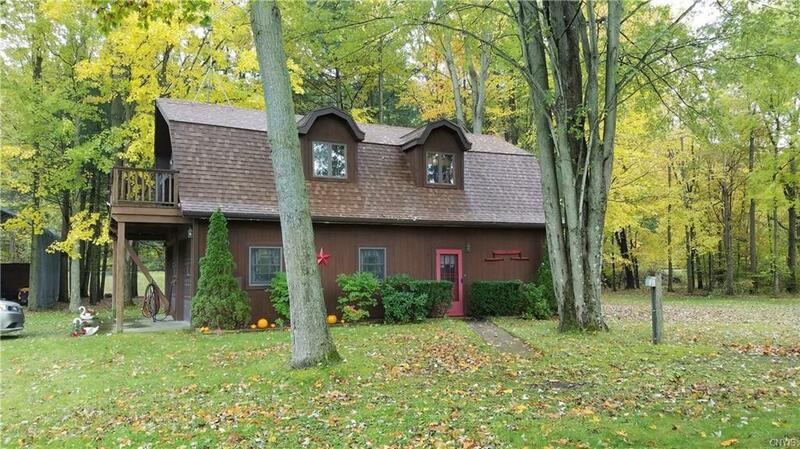 2271 State Route 14, Geneva, NY.| MLS# S1156437 | Coldwell Banker Finger Lakes | 315-789-6768 | Geneva NY Homes for Sale, FINGER LAKES PROPERTIES, Seneca Lake, Cayuga Lake, All of the Finger Lakes. Looking for a quiet setting, you'll feel like you are in the Adirondacks. Cozy home with open floor plan with Tongue and Grove Cedar walls. All appliances stay, New Water Heater and Furnace. This area is also zoned agricultural and commercial if you want to operate a home business. Large storage trailer 8x40 with power and portable garage with enough room for RV and has 50 AMP service. 1.5 mile from Thruway entrance. Close to Seneca Lake, free Boat launch, and Wineries. Upgrades in last 5 years are Propane Furnace, Asphalt Roof, Water Heater, Water Pump and Refrigerator. Well supplies plenty of water and has never been dry. public water and sewer are coming and Spectrum Service available. Directions To Property: State Route 20 To State Route 14 Out Of Geneva. Or State Route 318 To State Route 14 1.5 Mile From Thruway Entrance.